Your child will absolutely love the Kassa Kids Jungle Accessories collection. Featuring a neutral color scheme, this collection will be a practical addition to your child's bath because it's cute, gender neutral, and durable. Made of a high-quality resin, the Jungle collection feautres charming jungle animals such as monkeys, turtles, elephants, and giraffes; which is so fun! 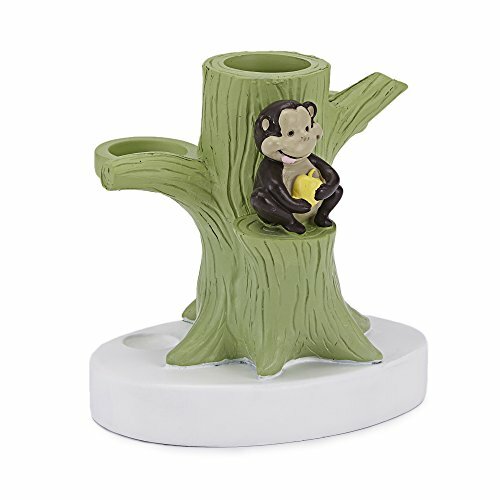 Pair with other items from the Jungle collection to create an adorable Jungle themed bathroom. If you have any questions about this product by Kassatex, contact us by completing and submitting the form below. If you are looking for a specif part number, please include it with your message.